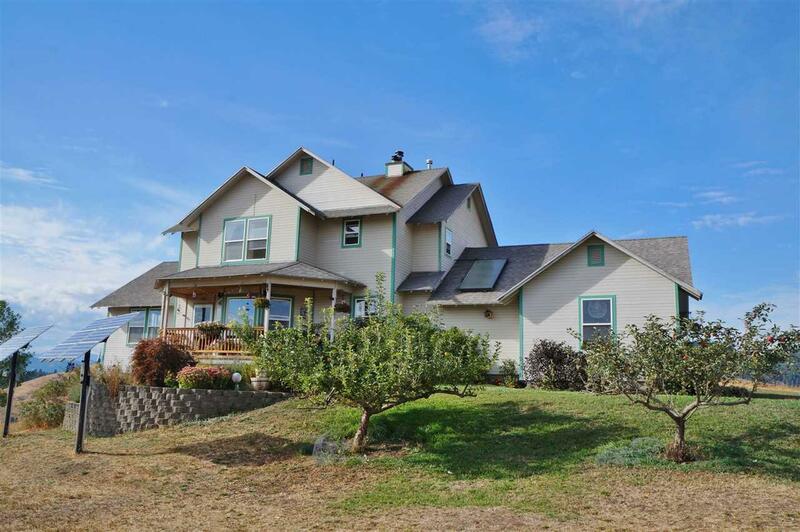 Enjoy the unrivaled 360 degree territorial views from this custom built home on 27 acres with room for horses and livestock. Home boasts over 3400 square feet of living space and affords vaulted living room ceilings, formal dining, beautiful wood floors, spacious country kitchen with a true wood cook stove. Daylight basement with family room, dry & cold storage rooms, and central wood furnace. Covered entry to watch the sunrises & sunsets, expansive fenced garden, 4-bay machine shed and insulated shop.